What would happen if you suddenly stopped growing at age 12 or 13? Solving genetic growth mysteries and scheduling regular appointments with pediatric endocrinologists is atypical for most parents and pediatricians. However, for children with growth disorders – a classification that typically describes children below the third or above the 97th percentile of growth charts for their age – receiving a diagnosis is half the battle to reaching average height. Understanding and creating treatment for a growth disorder, which could stem from an underlying medical illness, a genetic mutation or a problem with endocrine function, such as the production or action of growth hormone, is often the next step. For Andrew Dauber, M.D., MMSc., the chief of endocrinology at Children’s National Health System, a third step is to use these clues to create larger datasets and blueprints to identify risk factors for rare growth disorders. By understanding genetic markers of growth disorders, endocrinologists can identify solutions and create plans for multidisciplinary care to help children reach developmental milestones and receive coordinated care throughout their lifespan. A case study that Dauber and his research team continue to explore is how to correct for mutations in the PAPPA2 gene, which regulates human growth by releasing a key growth factor called insulin-like growth factor 1 (IGF-1). Dauber and his colleagues recently described a mutation in PAPPA2, observed in two families with multiple children affected with significant short stature. 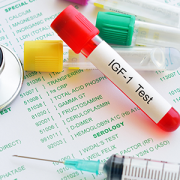 He found that this mutation decreased the bioavailability of IGF-1, stunting the growth and development of the children who carry this mutation. 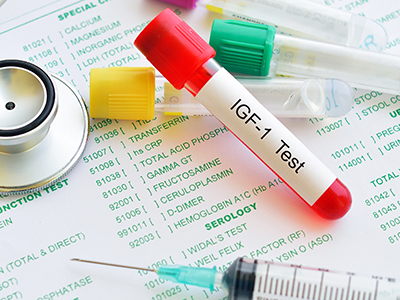 While the PAPPA2 mutation is rare, endocrinologists, like Dauber, who understand its function and dysregulation can create solutions to support IGF-1 bioavailability, thereby supporting healthy growth and development in children. Understanding barriers to IGF-1 function can also help researchers gain insight into the relationship between PAPPA2, levels of circulating insulin in the body, which could cause insulin resistance, and other growth hormones. For now, Dauber and his research team are exploring how to use PAPPA2 to increase IGF-1 in circulation among people with height disorders in the hopes of improving their growth. To generate controls for healthy patterns of growth and development, Dauber and his research team are analyzing the relationship between PAPPA2, STC2 and IGFBP-3 concentrations among 838 relatively healthy pediatric participants, ages 3-18, with traditional growth patterns. They are studying PAPPA2, STC2 and intact IGFBP-3 concentrations throughout childhood and the researchers are already surprised to find PAPPA2, a positive modulator of growth and IGF- bioavailability, decreased with age, while STC2, a negative modulator and traditional growth inhibitor, increased with age. This research was presented at the annual meeting of the European Society of Pediatric Endocrinology in Athens on Sept. 28, 2018. Dauber and his research team will present their findings at endocrinology conferences and grand rounds throughout 2018 and 2019. To view Dr. Dauber’s most recent research and pediatric endocrinology reviews, visit PubMed.